You gain strength, courage and confidence by every experience in which you really stop to look fear in the face. You are able to say to yourself, “I have lived through this horror. I can take the next thing that comes along.” You must do the thing you think you cannot do. The way out of this vicious cycle is to summon your courage and confront that inner voice. Find a place where you can be alone with pen and paper (or computer and keyboard). Listen to that voice, and face up to what it’s telling you, no matter how difficult it is to hear. (The voice is just an abstraction – you may not hear words at all; instead you may see what you should be doing or simply feel it emotionally. But I’ll continue to refer to the voice for the sake of example.) This voice may tell you that your marriage has been dead for ten years, and you’re refusing to face it because you’re afraid of divorce. It may tell you that you’re afraid that if you start your own business, you’ll probably fail, and that’s why you’re staying at a job that doesn’t challenge you to grow. It may tell you that you’ve given up trying to lose weight because you’ve failed at it so many times, and you’re addicted to food. It may tell you that the friends you’re hanging out with now are incongruent with the person you want to be, and that you need to leave that reference group behind and build a new one. It may tell you that you always wanted to be an actor or writer, but you settled for a sales job because it seemed more safe and secure. It may tell you that you always wanted to help people in need, but you aren’t doing so in the way you should. It may tell you that you’re wasting your talents. See if you can reduce that voice to just a single word or two. What is it telling you to do? Leave. Quit. Speak. Write. Dance. Act. Exercise. Sell. Switch. Move on. Let go. Ask. Learn. Forgive. Whatever you get from this, write it down. Perhaps you even have different words for each area of your life. Now you have to take the difficult step of consciously acknowledging that this is what you really want. It’s OK if you don’t think it’s possible for you. It’s OK if you don’t see how you could ever have it. But don’t deny that you want it. 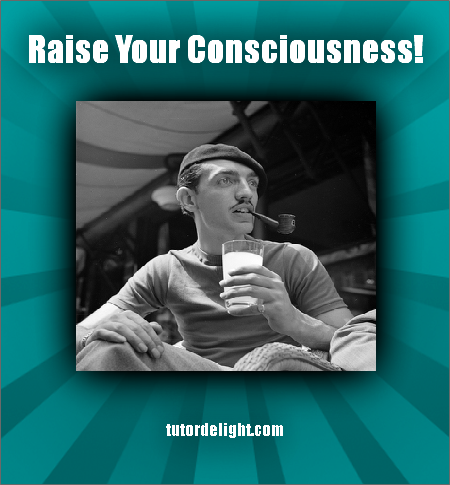 You lower your consciousness when you do that. When you look at your overweight body, admit that you really want to be fit and healthy. When you light up that next cigarette, don’t deny that you want to be a nonsmoker. When you meet the potential mate of your dreams, don’t deny that you’d love to be in a relationship with that person. When you meet a person who seems to be at total peace with herself, don’t deny that you crave that level of inner peace too. Get yourself out of denial. Move instead to a place where you admit, “I really do want this, but I just don’t feel I currently have the ability to get it.” It’s perfectly OK to want something that you don’t think you can have. And you’re almost certainly wrong in concluding that you can’t have it. But first, stop lying to yourself and pretending you don’t really want it.